Global re/insurance broker Marsh has announced the launch of Cyber Catalyst, a service that brings together a number of the market’s leading insurers to provide analysis and assessment of cybersecurity products. The objective of Cyber Catalyst is to identify and evaluate effective solutions for an organisation to deploy against cyber risk, offering clarity in an increasingly complex cyber marketplace. Allianz, AXIS, AXA XL, Beazley, CFC, Munich Re, Sompo International and Zurich North America are among the initial group of insurers involved. Between them they represent a substantial portion of gross written premiums in the $4 billion global cyber insurance market. Additionally, Microsoft will be a technical advisor to the participating insurers, providing counsel on the products and services being evaluated. “Organizations want the best possible protection against fast-evolving cyber threats, but many struggle to navigate the crowded cybersecurity marketplace,” said Thomas Reagan, US Cyber Practice Leader, Marsh. Participating insurers will evaluate cybersecurity offerings that address major cyber risks, such as data breach, business interruption, data theft or corruption, and cyber extortion, with the aim of better equipping organisations to select solutions that can have a meaningful impact on cyber risk. 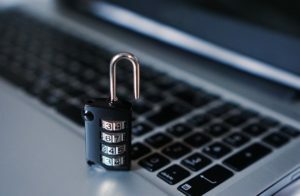 Marsh has said that products and services considered by participating insurers to be effective in reducing cyber risk will be given the designation of Cyber Catalyst. Organizations that adopt Cyber Catalyst-designated solutions may qualify for enhanced terms and conditions on individually negotiated cyber insurance policies with participating insurers.